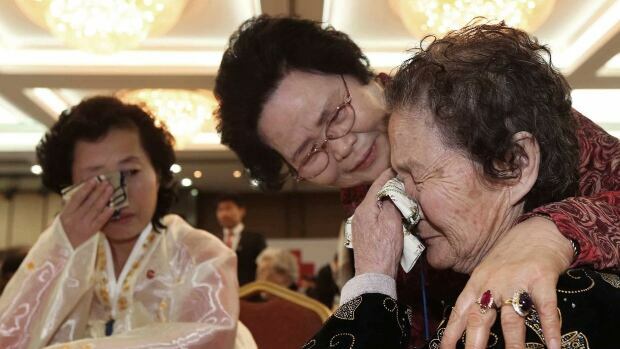 North Korea and South Korea plan to hold family reunions next month. progress for rivals that just last month were threatening each other with war. according to Seoul's Unification Ministry and North Korean state media. history of failing to follow through on reconciliation efforts. the exchange of letters, phone calls or emails. chance to meet their relatives, according to South Korea's Red Cross. and threaten the ruling party's grip on power. families and hold Red Cross talks again soon. since the 1950-53 Korean War ended with an armistice, not a peace treaty.